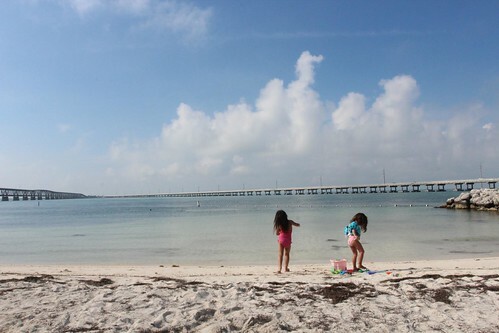 Mali Mish - Day 131: Beach day at Bahia Honda. 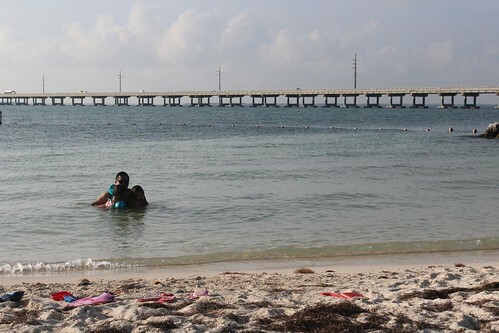 Day 131: Beach day at Bahia Honda. 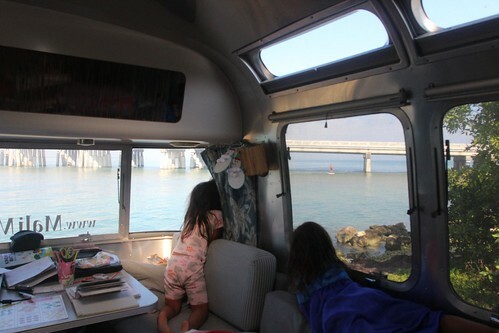 During our only other time here at Bahia Honda, we didn’t actually get to stay at the campground. We drove through it and admired all of the waterfront sites like the one we are in now. It is absolutely stunning. We are backed all the way up against the water and if you are not standing up and close to the window, it feels like we are in a boat floating away. Our first full day here we decided to do some exploring of the beach. We came to this beach last time and the girls had a great time. Well, at least Ava did. Mila was hanging out in shade and didn’t do much. This time they were ready to hit the water. It is pretty warm here and the humidity makes it feel even hotter. The day and night variation is less than 10 degrees and the water isn’t much colder. 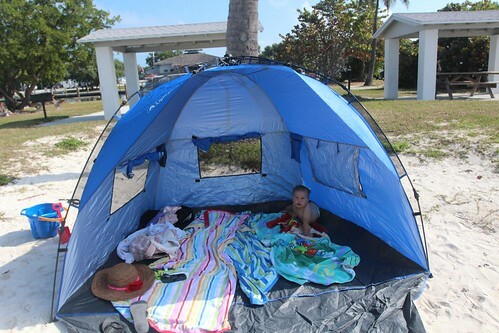 It is now Luka’s turn to relax and hang out in the beach tent. As much as Ava loves swimming in the water, she has become pretty timid about going into the ocean. I guess when kids grow older and become more aware of their surroundings, they start to build up inhibitions. 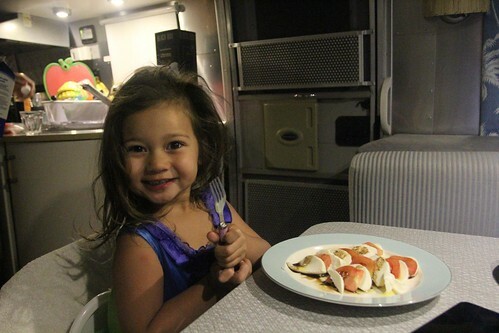 Ava was convinced that there are manta rays swimming just out of sight. Some of the rocks on the bottom of the water close to shore also spooked her out a little. But it is a different story if I go in the water with them. They hung on to me like flies on… ummm, I forget how the expression goes. But you get the point, they hung on to me a lot. Florida is known for having an abundance of wildlife. Here in the keys, we are getting to see lots of native water birds in their habitat. One of the ones we are seeing a lot here is the double-crested cormorant. I know this because Marlene is a giant bird geek. That means she is working to make sure our kids are as well. 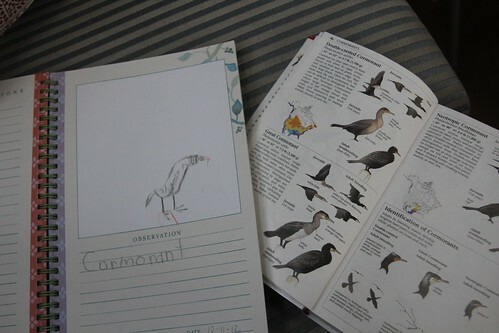 Check out the sweet cormorant Ava drew in her wildlife book. 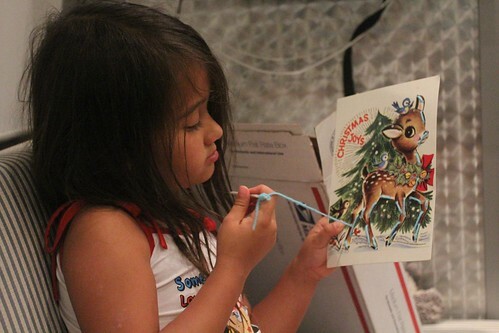 Ava also got to do some Christmas decorating while we were inside our air-conditioned bug isolation chamber. It’s not that we didn’t expect bugs. In fact, we loaded up on garlic, bug spray, essential oils and all kinds of natural bug repellent but for some reason, they are loving our sweet blood. If you were wondering how Ava is getting to do all these fun projects without her little sister bothering her, it’s because the day at the beach conked her out. She took a nap with Luka and they both slept until it got dark. Oh the joy of feeling like an only child once again! Well it didn’t last forever. Mila did eventually wake up and it was well after dinner. 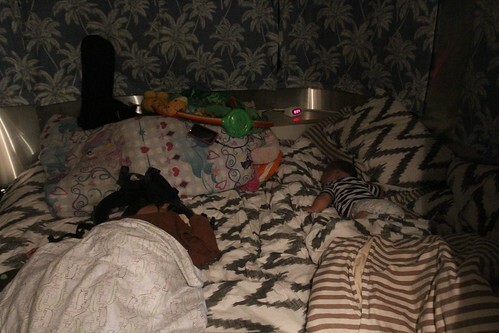 With Ava in bed and asleep, it was Mila’s turn to get a taste of being a pseudo only child. 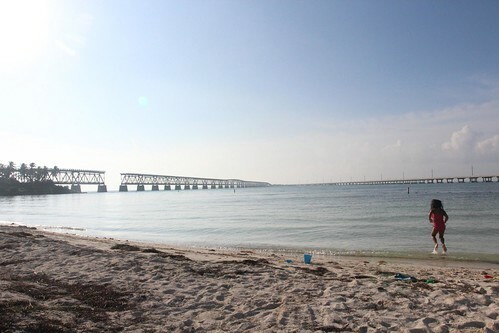 One Response to Day 131: Beach day at Bahia Honda. 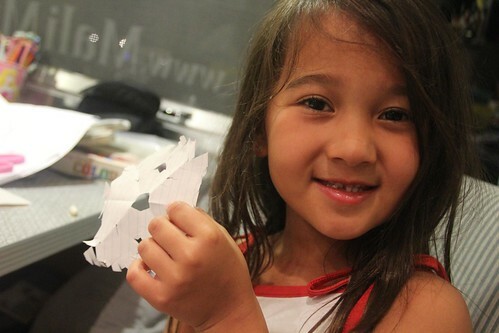 Ava is a little Audubon with her sweet bird drawings.